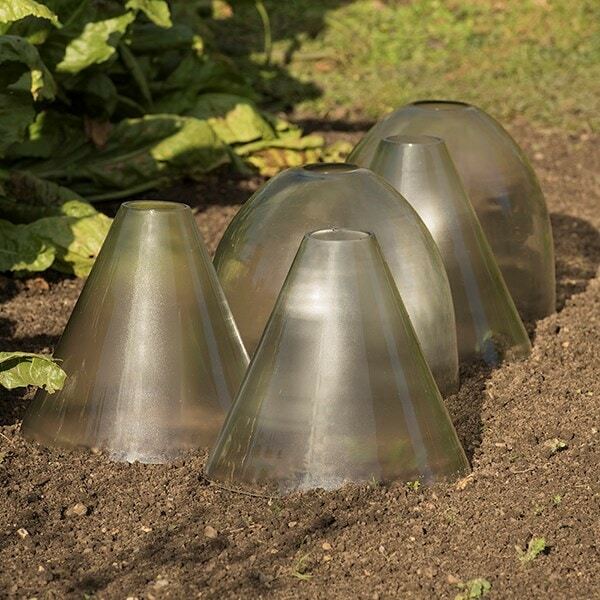 With a simple glass design, these cloches blend in beautifully with the garden and offer protection against strong winds and frost to help plants thrive. 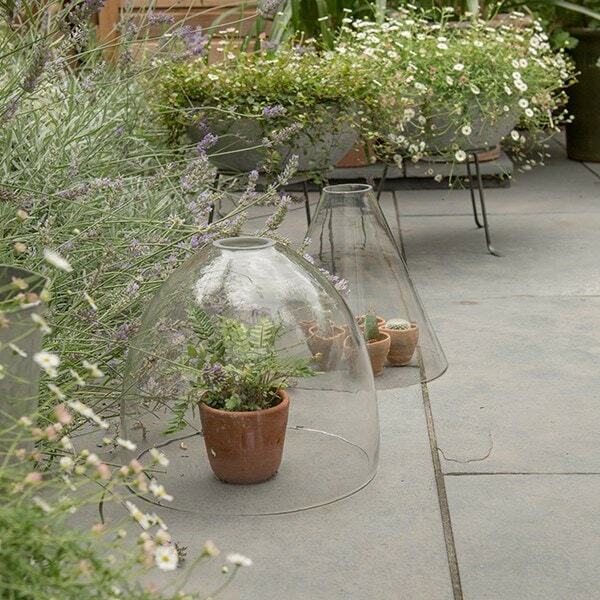 The clear sides let in maximum sunlight to create a warm and humid microclimate to keep plants snug and encourage growth. 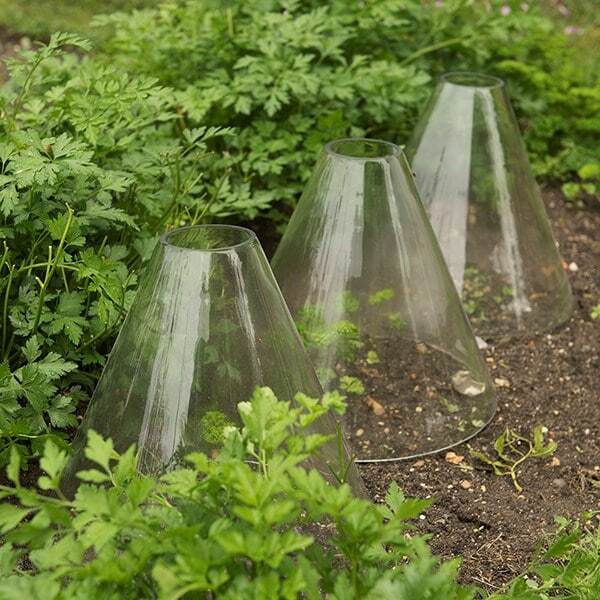 Used at the beginning or end of the growing season, when the biggest swings in daytime and overnight temperatures occur, cloches can extend plant growth by several weeks. 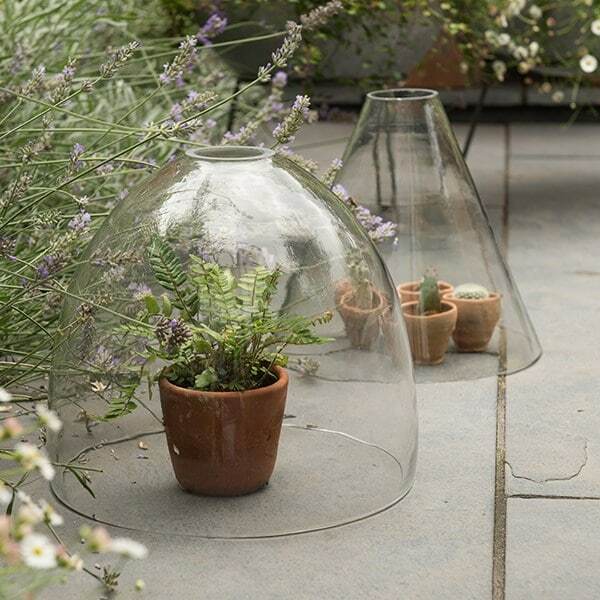 Available in a choice of two designs, tapered and domed, both with open tops to allow easy access for water and air. 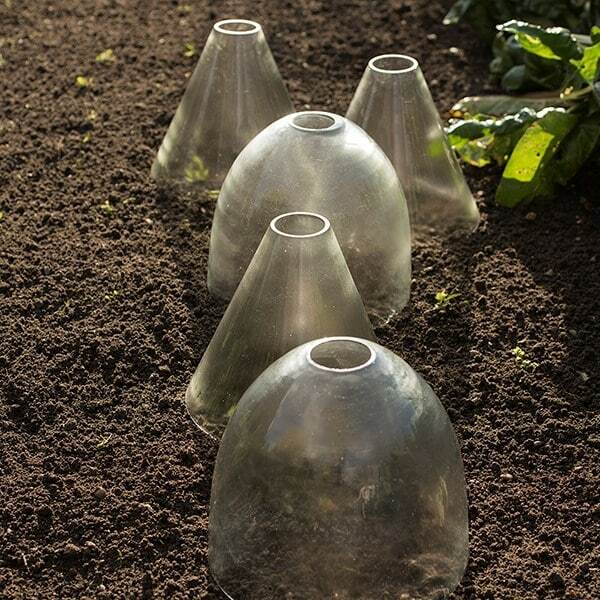 Handle with care and site away from areas where it may be knocked.